Men, like women, are concerned about their appearance. They hit the gym. They take supplements. But sometimes, it’s just not enough to eliminate those stubborn pockets of fat that refuse to leave the body. At Q-Care Aesthetic Laser Care, we understand the frustration this diet- and exercise-resistant fat causes, as well as the blow it delivers to your self-confidence. That’s why we’re here to tell you about body sculpting for men. 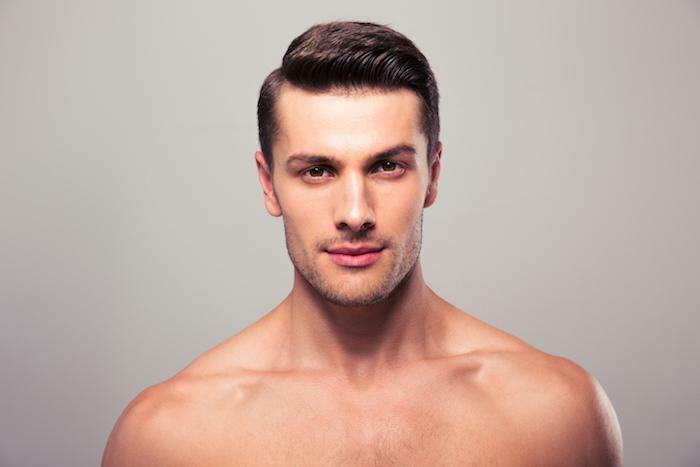 Although it’s not often talked about, noninvasive, nonsurgical body contouring is popular among our male patients, and the last few years have seen a national increase of 43% of men seeking cosmetic procedures. SculpSureⓇ, an innovative, laser-based, fat-reduction treatment, is perhaps one of our most popular procedures for men. It’s safe, it’s effective, and it eliminates those stubborn pockets of fat for good. SculpSure can even address fat under the chin, giving you a stronger and more defined chin and neck profile. One of the many benefits of SculpSure for men is that it easily fits into your lifestyle. The body contouring procedure takes only 25 minutes to complete and is completely pain free. The treatment requires no downtime and has few side effects, meaning you can return to your daily activities as soon as you’re done. SculpSure is easy and quick enough to have the treatment during your lunch break. When you return to work, no one will be able to tell that you’ve had a fat-reduction treatment. For those who can’t leave work at work, SculpSure is relaxing enough that you can easily read emails during your treatment or listen to your favorite podcast. During a SculpSure body contouring treatment, laser energy is directed at your fatty tissue, focusing on your unwanted fat cells. This energy increases the internal temperature of the cell, which leads to its ultimate destruction. Over the next few weeks, these fat cells begin to die, and the body removes them through natural processes. You may begin to notice preliminary results in about four weeks, with the full benefit of the treatment at three months. Over those three months, up to 24% of the fat cells in your targeted treatment area are eliminated. This gradual decrease in fat and body contouring makes your results look natural and appear as though the fat loss occurred through diet and exercise, rather than a fat-loss treatment. What’s more, SculpSure stimulates your body’s production of collagen, a protein that keeps skin healthy and smooth. Because of this increase in collagen, the skin around your treatment area looks firmer and more youthful. SculpSure destroys your fat cells, which don’t regenerate. Once these cells are gone from the body, they remain gone forever, giving you fat-reduction results that last a lifetime. As long as you don’t gain weight, your body sculpting results stay the same. If you do gain weight, the remaining fat cells in your treatment area expand, just like the fat cells in the rest of your body. A healthy lifestyle, which includes eating right and regular exercise, is an important part of maintaining your SculpSure results. Book your appointment at Q-Care Aesthetic Laser Care today.